The school donation/fee is set annually by the Board of Trustees. It is in the nature of a voluntary contribution but it must be emphasised that it is impossible to offer the quality of education required by our parents and staff from the funds which the Ministry of Education provides for basic schooling requirements. 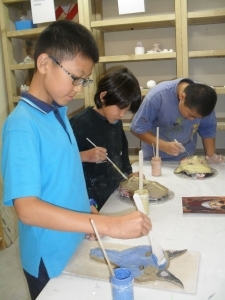 Mairangi Bay School continues to provide education of a very high standard for our children. The Education Review Office has, in its latest report, commended our school as a high performing provider and one that continues to get better. What is not well understood by the community is that every year there is a significant funding shortfall between money provided by the Ministry of Education and what is required to deliver our excellent educational program. Mairangi Bay School is a decile 10 school, which means our school receives the minimum amount of government funding to operate. A low decile school could, in fact, receive over $850 per student more than we do from the Ministry of Education. The government’s reasoning is that schools in decile 10 areas have a greater ability to get donations and fundraising support from their communities than lower decile schools. This funding shortfall provides us with an ongoing challenge of how to continue offering the programmes and initiatives that our school prides itself on delivering. In short, we rely on additional monetary support from the families within our area. These additional funds ensure that the Board of Trustees can deliver on its legislative requirement of ensuring all students have the best support possible. It allows the Board to provide additional academic, musical, environmental, cultural and sporting activities within the school. The graph below shows how the Government Grant income that the school receives does not cover the basic running expenses of the school. These expenses include items such as support staff, computers, photocopying, insurance, teaching resources, cleaning, maintenance, electricity, gas, water, rates, etc. 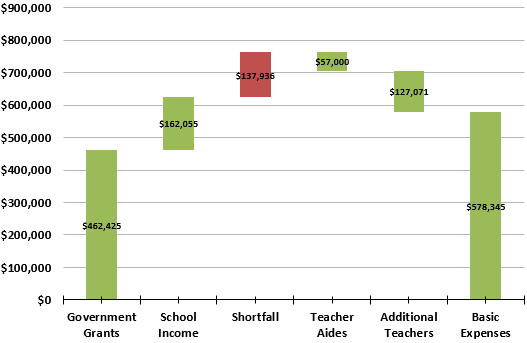 Core teacher salaries are excluded from this graph as they are funded directly by the government. The school does have some additional School Income derived from International students. However, to cover the entire funding shortfall we do remain heavily dependent on the school donation from parents and on the support of our wonderful PTA. The Board has worked hard to maintain the School donation at its current level and can confirm that there is, again, no increase for this year. Furthermore the School Donation is tax deductible. If your donation is received in full before 28 February, a $30 discount will be applied to reduce the donation to $220. It helps the school to receive donations early so we can buy the resources we need straight away and have children benefit immediately. Activity fees are user pays fees that are compulsory and relate to direct costs including transportation and entry fees for school trips, experts and performers who visit the school to contribute to learning programmes. The Activity fee is set at $75 per student and it covers everything except the swimming tuition and Year 5-6 camp fee. Just what this money pays for term by term will be included in the team newsletter sent each term. Mairangi Bay School has a joint venture arrangement with the local swimming facilities. Trained instructors provide small group instruction to all students. This is a win-win arrangement because high quality swimming instruction programmes are delivered and parents do not need to pay for swimming instruction after school. This is a compulsory fee. This is a colourful record of the year’s school events and life. It is packed full of photos showing children throughout the school engaged in a dazzling variety of activities. Always a popular keepsake; a book that your children will look back on in the years ahead. Reserve your copy now for a December delivery. Camp fees are calculated after a detailed examination of all the expenses including transport, food and instructors. Parents of Year 5 & 6 students were sent a notice about this at the end of last year. Please advise us, in confidence, if hardship makes this payment difficult. This is our preferred option as it allows us to purchase resources immediately and provide students with the benefit for the full year. Early arrangement of your payment helps us with planning of cash flow and is greatly appreciated. We appreciate the support you give in assisting us to deliver a learning programme that must be regarded as value for money and one of the best in the country. It is the extra effort that you make that protects the special character and atmosphere of your school. PS Remember to claim School Donations on your Tax Return. PPS Remember, early payment of your School Donation by EFTPOS, credit card, cheque or cash by 28 February earns a $30 discount. Copyright © 2016 Mairangi Bay School. All rights Reserved.